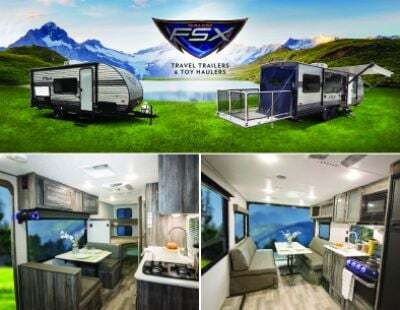 Got your eye on the 2019 Forest River Salem FSX 260RT Travel Trailer Toy Hauler, but don't know if you can afford it? Then you need to come into National RV Detroit in Belleville, Michigan because we've been selling top brand RVs at wholesale prices since 2008! With our best price guarantee and our super financing options, we can put you in your dream Travel Trailer Toy Hauler in no time with a deal that will astound you and save you $1000s! 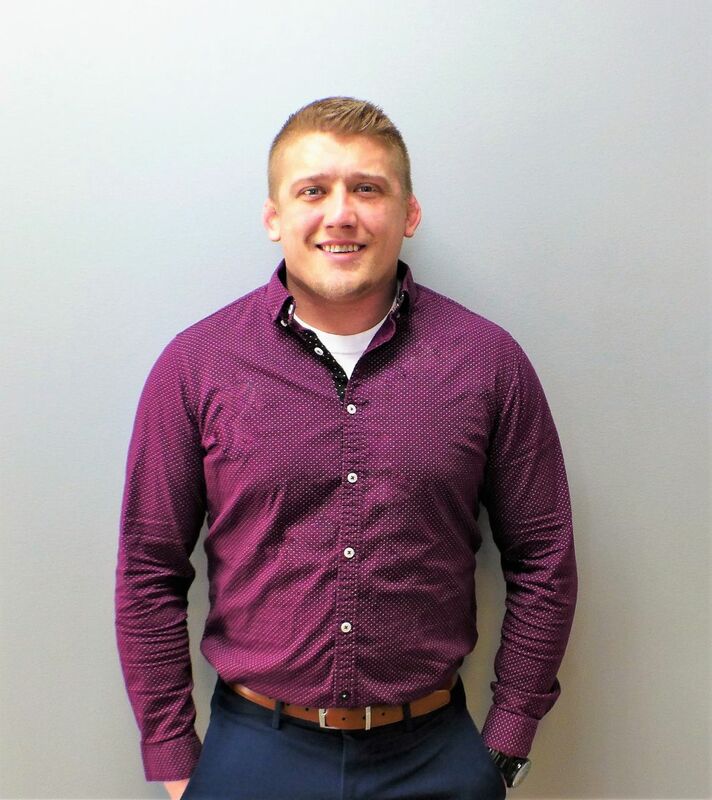 Stop in and see us at 44700 N I 94 Service Dr Belleville Michigan 48111 or give us a call at 734-439-3400! And with our 24/7 fast, reliable delivery anywhere in North America, you can be in your dream RV tomorrow! Once you've reached your destination, you can easily pop out the 15' 0" awning and enjoy some welcome shade and UV protection! This rig has a GVWR of 7610 lbs. and a hitch weight of 725 lbs. 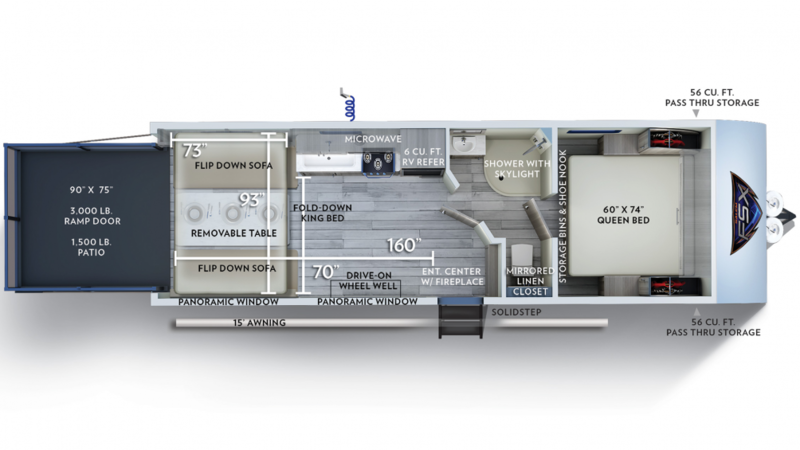 The slides maximize the living space in this 28' 6" long, 8' 0" wide Travel Trailer Toy Hauler! When the sun goes down and it's time to hit the hay, you'll be glad you're camping in the Forest River Salem FSX 260RT. It sleeps up to 3 people and has a beautiful and comfortable master bedroom! In the spacious Queen bed, you'll enjoy a great night's slumber after every fun-packed day! When you're on the road, sometimes meals can be a challenge. But they'll be a breeze in the Forest River Salem FSX 260RT thanks to the wonderful kitchen that comes in this RV! It has a full suite of modern appliances, including a 2 burner range cooktop and a handy 3.00 cu. ft. refrigerator that can stock your favorite meats, fresh veggies, fruits, and beverages! You'll be able to clean, drink, and cook with plenty of water from the 28 gallon freshwater tank! The one great challenge with camping and long distance trips is the bathroom issue. Public restrooms and communal bathrooms are, more often than not, unclean and uncomfortable. That problem is a thing of the past with this RV, as it features a full bathroom with a shower and a Foot Flush toilet! 40 lbs. of LP tank capacity provides lots of hot water, and there is a 27 gallon gray water tank and a 27 gallon black water tank! You won't have to leave your outdoor toys behind, thanks to the roomy 13' 4" garage! With a rugged cargo capacity of 3086 lbs, this toy hauler can carry everything with ease!